Unlike past seasons, Gor Mahia started the 2013 season with a modicum of stability in both the technical bench and the playing unit. Croatian coach Zdravko Logarusic was returning for his second season after having come agonisingly close to winning the league on 2012. And unlike the previous coaches, Logarusic would brook no interference from the club’s executive committee when it came to technical aspects of the club. 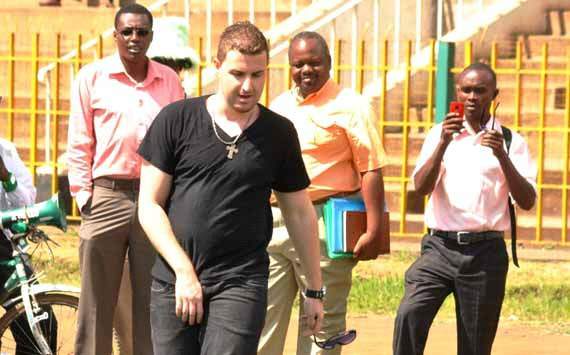 That absolute authority was put to test when Gor Mahia brought a Brazilian to the club. Amid much hype from the media and excitement , Giovanni Rodriguez Bissolli arrived set to become the first South American to play for a Kenyan side. The media and fans were abuzz with excitement about the arrival of this Brazilian and many wondered how Gor Mahia had pulled off such a spectactular coup. Fans had watched what were purported to be his videos while playing in the Iranian league. However when Rodriguez arrived, fans noticed a starke contrast between what they had seen in online videos versus what they saw on the field at City Stadium. The Roriguez they saw was technically challenged and was clearly in no shape to play. In the end he did not make the cut and Logarusic announced that he had “personal problems” he needed to take care of at home. Rodqriguez had been named to Gor Mahia’s Africa cup squad but that did not come to pass. Gor Mahia were slated to play Anse Re-Union in the preliminary round of the Confederations cup, whose first leg was played at Nyayo stadium. Fans came in expecting an easy win but it was not to be as the plucky Islanders held on for a scoreless tie. In fact they would have scored had Anthony Akumu not committed a professional foul. Coach Logarusic was left lamenting the poor performance. “We played a very disjointed game and failed to capitalise on easy chances as the players were very uneasy at goal and my strikers failed to calm down.” said Logarusic. In the return leg, Gor Mahia put aside their scoring woes and won 5-0 to advance to the first round, where as luck would have it, they were pitted against ENPPI who at the time, were the league leaders in Egypt. Having missed out on the last day of the 2012 season, Logarusic and his team were determined to make amends. They started in positive fashion beating Sofapaka 1-0. New signing Paul Kiongera made a dream debut scoring with a audacious backheel off Lavatsa’s cross. The second game however ended in disaster as Gor Mahia’s 20 game unbeaten streak came to a crashing end when they lost to Ulinzi. In fact Gor Mahia’s form in the opening stages of the league was far from inspiring, despite wins over KCB, there were also dissapointing draws with SoNy Sugar and Homeboyz. Still Gor Mahia ended the first leg on a sound note recording their thiurd succesive win over AFC Leopards. It was a match that Leopards dominated but Gor Mahia hit them with a sucker punch when they quickly turned defence into attack enabling Dan Sserunkuma to score off a rebound after Rama Salim’s effort had been stopped by the keeper. Loga was elated after the win : “I am a very happy man today as it was a very tough match but we held on despite the strong challenge from our opponents. The resilience and determination by my players paid off handsomely as they effectively used a counter attack to finish off leopards and this are some of the tactics we have been practising,” an elated Logarusic said. 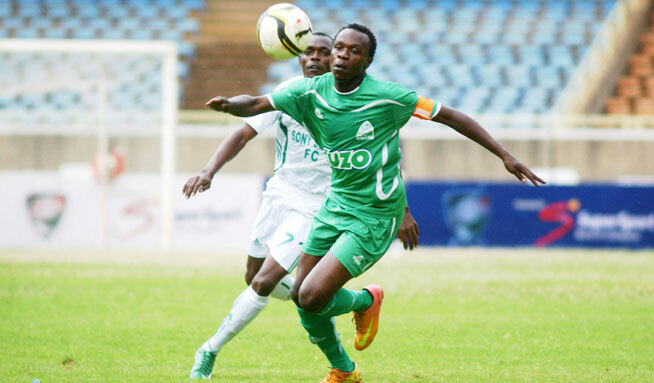 Gor Mahia were now only three points adrift of league leaders Thika United as the first leg ended. Whereas Gor Mahia had difficulty scoring in the first leg, the team was kept afloat by the superb goalkeeping of a Jerim Onyango and a solid defensive backline with David Owino, Musa Mohamed, Israel Emuge and Donald Mosoti. At the end of the first leg, Gor Mahia dropped five players : Moses Otieno, Victor Ali Abondo, Zachary Onyango, Yusuf Juma and Abbey Nattey. They were replaced by Paul Odhiambo from Homeboyz, Joseph Wanyonyi, formerly of Aspire academy, Joel Bataro from Thika United, Eric Ochieng and Ronald Okoth from Bandari and the sensational Patrick Oboya who was previously based in Vietnam. Meanwhile the Standard newspaper did a sensational story A story appearing in the Standard indicates that Gor Mahia coach Zdvarko Logarusic is fond of pursuing women including those of team players. Whereas this story may make some fans uncomfortable, it is already in the public domain so there was no point having this blog avoid the story. One of the players was quoted saying : “Most of us now leave our girlfriends at home when going for training,” said one of the disgruntled players. But it did not stop there as Loga was also accused of pursuing members of the Kenya volleyball team. “Ladies love him. Maybe it is because he is a mzungu and he treats them well,” a top volleyball player said. It happened when Loga was due to go on leave. Once in Croatia, Logarusic cast doubts over his future at the club, claiming that a section of its officials would want to see him go, further insisted that he wants a return ticket to Croatia in case he falls out with Gor before the season ends. He also revealed that the club has never got him a work permit and has always lived in Kenya on a tourist visa. He also said he would not return unless the club gave him the raise they had promised him if the club was able to negotiate a better sponsorship deal. Gor Mahia officials for their part vowed not to be intimidated. After much back and forth it became clear that Loga was not returning and he was fired. Bobby Ogolla took over on a interim basis and announced his intention to become the head coach. Loga said he had no regrets : “For now, I have no regrets leaving the club. I wish Gor Mahia all the best and I pray that they win the league this season. Bobby Ogolla is a reputable coach, who can take the team places and I wish him all the best”, said Loga. With Logarusic gone, Gor Mahia officials sought to find a new coach. They settled on former Uganda Cranes coach, Bobby Williamson. “Gor Mahia is a top club with a massive following and any coach would be interested to be part of that family. I have been following keenly the club’s activities while in Uganda and I know they won a double and were on the verge of winning the league last season.” said Williamson on his arrival. The Williamson era started in a good note with succesive wins over Bandari (1-0), Wester Stima (2-0) and Chemelil (2-0). But soon after Williamson’s bright start, Gor Mahia were struck with bad news when Rama Salim and Dan Sserunkuma, two key players, both left the country for trials in Qatar and Armenia respectively. In the end Rama left for Qatar but Sserunkuma returned. His return turned out to be one of the most important events of the club in 2013. In fact the bloggers branch voted it as the most important turning point for the club. Sserunkuma went on a tear, scoring crucial goal after crucial goal as Gor Mahia sought to hold off arch rivals AFC Leopards who were determined to catch them. Perhaps the most important goal he scored was the match the first goal against AFC on Augsut 25. Gor Mahia looke dead and buried down 0-2. Sserunkuma scored a typical poachers goal, tapping home a rebound before David Owino “Jashirati” who had found a rich vein of scoring form scored the critical equalizer with a brilliant volley. The game ended 2-2 but could have been 3-2 in Gor Mahia’s favour had the referee not denied them a penalty in the last minute. That come from behind draw was essentially a moral victory that put wind in Gor Mahia’s sails. For a moment it looked like AFC were catching up as Gor Mahia floundered with draws against teams like City stars, a draw which unfortunately led to another round of hooliganism. The match against SoNy in Awendo also ended in confusion when SoNy players led by notorious goalkeeper Wycliff Kasaya acosted the referee causing the match to be abandoned while the score was 2-2. Once again David Owino had come to the rescue scoring the crucial equalizer. KPL secretary general Jack Oguda initially ruled that the match would be replayed. Gor Mahia appealed and the KPL ruling was over-ruled by FKF chairman Sam Nyamweya. KPL refused to accept the ruling and insisted that the match would be replayed. When Gor Mahia lost 0-1 to Tusker on September 24, it looked like the title was about to slip away from the club for the third time in five years. Fans were on tenterhooks. The match against Tusker was a rugged battle which Tusker won simply by playing spoiler and taking an opportunity that came there way. Gor Mahia were defending champions and started their cup campaign with a convincing 6-0 whitewashing of former national league side Shabana FC. In the next round, new signing Patrick Oboya showed his class and experience scoring one goal and setting up Sserunnkuma to score the other another in a brilliant display that saw Oboya earn man of the match honours as Gor Mahia beat Thika 2-0. Thika United coach John Kamau was so impressed by the Gor Mahia display that he declared that “Nothing would stop Gor Mahia from winning the title this time”. In the quarter final, Gor Mahia was pitted against Western Stima. Once again Dan Sserunkuma was fine form scoring two breathtaking goals and Kogalo sunk the Electricians 2-0. For the semi-finals, coach Williamson rested Sserunkuma as Kogalo came up against SoNy. The hard fighting millers held on for a scoreless draw. Gor Mahia eventually won 4-2 on penalties. Once again the penalty saving magician, Ivo Mapunda eliminated SoNy. He saved one kick and SoNy missed another thanks largely to Mapunda’s “psychological intimidation factor”. 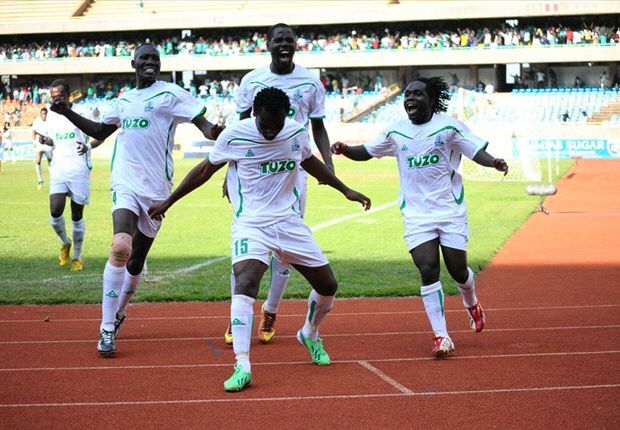 Gor Mahia put all four spot kicks past Wycliff Kasaya to book a place in the finals. In the finals, Gor Mahia met arch rivals AFC Leopards who were determined to win at least some silverware this season and who were also motivated by the fact that they had not beaten Gor Mahia since 2011. Indeed Zdvarko Logarusic left the club with the distinction of never having lost to AFC. In a tense encounter, Gor Mahia went down 0-1 thus ending their stranglehold on the tournament they had won two years in a row. After the loss to Tusker, Gor Mahia refocused and Dan Sserunkuma in particular was in sensational form. On October 2, he scored a goal and set up another to enable Kogalo to beat Mathare 2-1. With that win Gor Mahia fans were able to finally see light at the end of the tunnel and Gini Wasekao was now in full swing. Up next was Thika United, a team that had forced a draw against Gor Mahia in the first leg. Goals from new signing Eric Ochieng and another by Dan Sserunkuma ensured that Gor Mahia remained on course as other teams became resigned to the fact that this time Kogalo were not slipping up. Then came the pivotal encounter of the 2013 season, the match against Sofapaka at Kasarani. 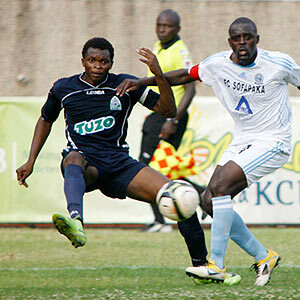 Sofapaka were at the time Gor Mahia’s closest challenger. A loss would throw them out of contention and leave Gor Mahia with virtually both hands on the cup. And indeed Sofapaka played like their very lives depended on it. They dominated the proceedings for long periods and were it not for some poor finishing, they might have scored. However special players are those who are capable of single handedly winning a game against the odds. And that is exactly what Sserunkuma did. The move that resulted in the goal started with Wanyonyi heading the ball towards Oboya who in turn back-heeled to Sserunkuma. The stocky Ugandan outpaced the Sofapaka defence to slam home the winner which went in via the cross bar cuing absolute bedlam on the terraces. Finally the 18 year wait was over as Gor Mahia had beaten their closest rivals and now needed only 1 point from their remaining three games. Gini Wasekao was now a fact. With Gor Mahia having all but sewn up the league, KPL finally gave in and awarded them the 3 points from the abandoned match against SoNy. Congratulations rained in from all angles including former players like Austin Oduor, politicians and most notably FIFA chairman Sepp Blatter. The win triggered wild celebrations reminiscent of Gor Mahia’s 1985 CECAFA cup victory. Over to the bloggers. What are your memories of the 2013 season ? @ JAKOYO ; Austin back to do what? his name must be placed in the hall of fame …in Gor Mahia there has always been one captain and he is the one Austin “Makamu” Oduor….no one has ever replicated his achievements as captain! He truly belongs to Kogalo’s golden age if you dont believe watch Magongo’s goal against Esperance Sportif in Tunis in the first leg then you will understand what i mean when i say the golden age. It was a good season; I cant complain. Technical Bench,Am watching Joseph( strike no.10)southern Sudan with keen interest( CECAFA GOTV 13).Are you? He has height,speed,dribbling skills,able to assist and can head the ball.I think this is the kind of a striker we need now.